Chris Deschene repeatedly refused to answer questions Thursday in a hearing meant to determine whether he speaks Navajo fluently. Chief hearing officer Richie Nez said he had no choice but to rule against Deschene. “I’ve been pushed into a corner by clear and convincing evidence that by refusing to answer questions which will lead me to pass on whether or not Mr. Deschene is fluent,” Nez said. 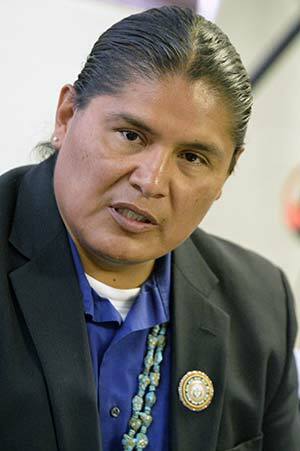 Deschene said he would appeal to the Navajo Nation Supreme Court. Deschene has 10 days to appeal Nez’s decision.